Anybody can learn to play the cello and find success in their studies, regardless of their background or prior musical experience. It is my goal to make cello lessons approachable for all types of Vancouverites, especially those with busy family and work lives. New students of all ages (12+) and skill levels are always welcome! With my degrees in cello performance and ethnomusicology, I enjoy building upon the existing diverse musical interests of my students. 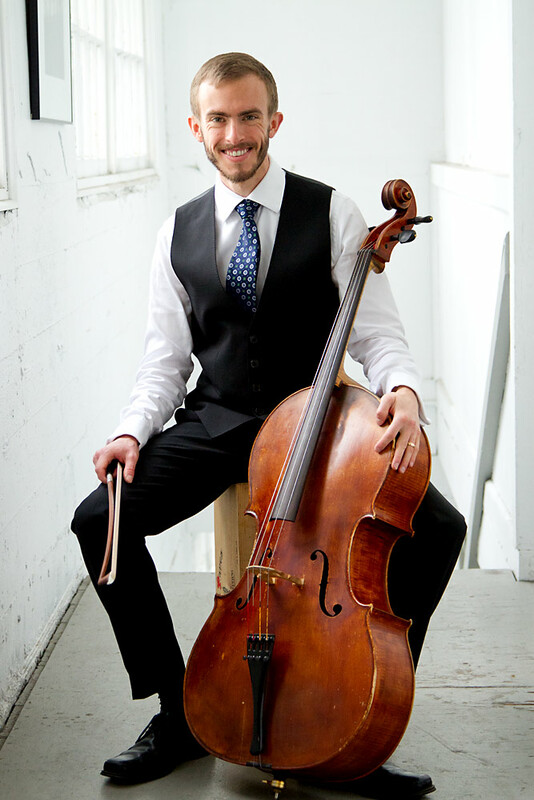 I currently work with over 30 cello students in Vancouver, including working professionals, parents, elementary and high school students and retirees. Everybody takes a different path while learning to play the cello, and I collaborate with each student to determine a style of lessons that compliments their goals, strengths and learning style. As an instructor of youth and adults, I always encourage my students to take their playing beyond the mere reproduction of correct notes and rhythms. Understanding the foundational elements of cello technique and musicality provides space for students to develop as musicians and begin a process of long-term learning and growth. By emphasizing efficient and mindful practicing techniques, even the busiest students are able to enjoy their cello studies. In-Studio Lessons take place at the West Point Grey School of Music from 1PM to 9PM on Tuesdays, Wednesdays and Thursdays. In-Home Lessons take place at your home anywhere within Vancouver on weekdays. I charge standard Vancouver rates for 45 and 60 minute lessons. Please contact me for my current rates. How do I register for weekly lessons?! Simply contact me via email or phone to sign up for cello lessons or request further details. I am always happy to work with new students of all ages and experience levels! Do I need my own cello for our free sample lesson? Yes, we will both need a cello for all lessons, including the sample lesson. New students should arrange for a cello rental prior to the first lesson. See below for rental options. Where can I rent a cello and how much will it cost? Local Vancouver stores such as Tapestry Music and Long & McQuade rent suitable cellos. Expect to pay anywhere from $30 to $60 per month to rent a cello. Can I arrange to have lessons every other week? Regular weekly lessons are key to success when learning to play any instrument. This is especially the case for beginners. Weekly lessons allow for frequent feedback, encouragement and quick correction of developing bad habits that could make playing the cello less enjoyable down the road. Do you teach outside of Vancouver? At this time, I am not taking students in the Vancouver suburbs. However, I currently have several in-studio lesson openings for students who are able to come to the West Point Grey School of Music. What is the best age to learn to play the cello? Students can be successful at any age! I specialize in teaching adults, as well as youth as young as 12 years of age. Regular practice is required of all students, and the frequency and duration of practice is different for each student. A general rule of thumb is that for weekly hour-long lessons, 30 minutes of practice 3-6 days per week is the bare minimum. More important than the quantity of practice is the quality of each practice session. It is a misconception that practice always has to be frustrating. While we all have those discouraging days at our instruments, I generally find that practice is an incredible fruitful exercise full of tremendous rewards. From Day 1, I strive to talk with my students about techniques for smart and efficient practice. With attentiveness and intentionality, 30 minutes of practice can be much more productive and enjoyable than 7 hours of unfocused time. What books/materials do you use to teach beginners? Unlike teachers or schools that focus nearly exclusively on one series of method or studies books, I do not use the same material for each student. Depending on musical background and experience reading music, I have found that different books are suitable for different students. Books commonly used include the Suzuki volumes, Strictly Strings, Essential Elements and Feuillard. I frequently use exercises and melodies from one or two of these books to introduce the basic concepts of note reading and posture. As we progress, these books are supplemented with more advanced music and duets that we play together during the lesson. Most importantly, I want cello lessons to be enjoyable for my students, and I am open to exploring music that the student finds most approachable and relevant to their life. Some of my current students are studying Irish solos, Baroque duets and popular songs.